You’ve downloaded the Android application but can’t install it? The downloaded file does not open, but the system gives an error Parse Error: There was a problem parsing the package? This means that the system can’t parse the package and process the file properly. This happens in case the apk-file is damaged or the OS version of your device and the application you want to install don’t match (it is designed for a newer version). There are several ways to fix the problem when parsing the package in Android. How to Fix There was a problem parsing the package Problem? The most common cause of the error during parsing an application installation from apk is an unsupported version of Android on your device, and it is possible that earlier the same application worked fine, but its new version ceased (for example, you are trying to install an application for Android 4.4, but you have Android 2.3 on your device). Most often the problem can be caused by the “old” version of Android, especially in cases when your device has version up to 5.1, or you use the Android emulator on your computer (which also usually has Android 4.4 or 5.0 installed). However, such problem can occur even in newer versions. Take a look in the Additional information section at the application page to know the required version of Android. READ ALSO: How to Fix Error Bootmgr is Missing on Windows 10 Machine? If the installed application is downloaded from a third-party source as *.apk file, and if it is not found on the Play Store on the phone or tablet (it’s exactly present in the application store), then probably this could happen because it is not supported by your device. If required version is higher than you have, try to look on third-party sites for older versions of the same application that is compatible and can be installed on your version of Android (or update the version of Android on your phone). Unfortunately, this is not always possible: there are applications that support at least Android 5.1, 6.0 and even 7.0 since the very first version. Also, there are applications that are compatible only with certain device models or with certain processors and cause the parsing error on all other devices (regardless of the version of Android). The first thing to do is to exclude the simplest, but not always obvious cause of the error – the prohibitions of installing applications from external sources. 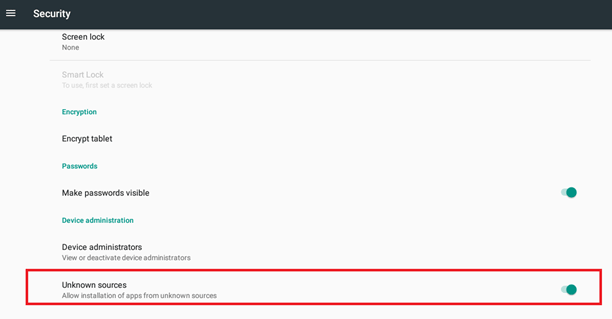 Open Setting of your Android device, select Security and enable the option Unknown Sources. Confirm the security settings change. The application was not fully downloaded or downloaded with an error in the installation apk file at the time of installation. Try to download the file again or download it from another third-party source. If the situation repeats, try to change the browser or loader that you are using. Also check the file extension, it must be mandatory *.apk. The settings of some antivirus programs can block the installation of any third-party applications. It is worthwhile to temporarily disable the antivirus and try to run the application installation again. You want to know what does this have to do with There Was a Problem Parsing the Package error? But activating the debug function via USB sometimes really solves the problem with an error when parsing the package. Go to Settings -> About Tablets -> Press on Build number item. If you see a message “You are a developer” then go back and find in setting menu new item Developer Options. 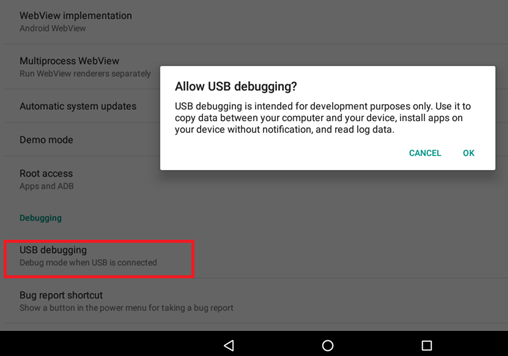 Enable USB debugging mode. Try to install the application which causes issues. If you have an experience in the developing of Android applications, you can manually edit the manifest file of such application. Today we have considered a number of ways to solve the problem with the There Was a Problem Parsing the Package parsing error of the Android app and found out the reasons for its occurrence. If you encountered it on your device and successfully overcame, please tell us about your experience in the comments! How to Fix Restricted Access Changed Error on Android?